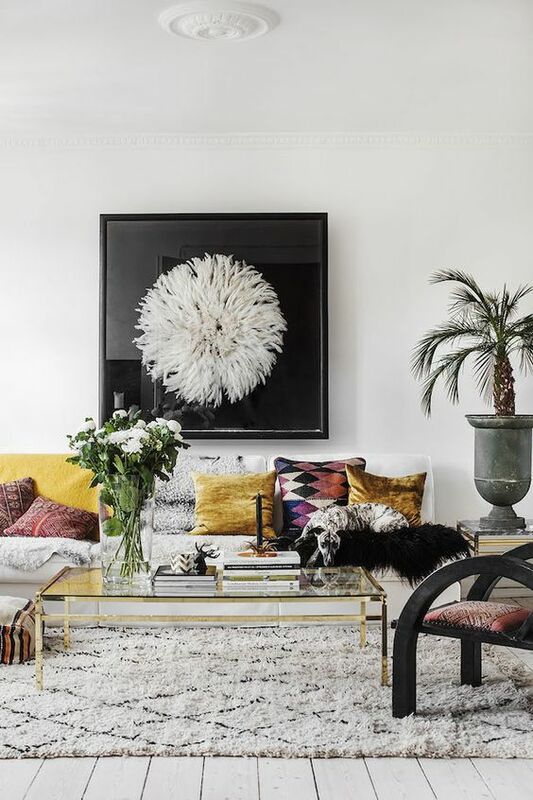 We are loving Bohemian interiors at the moment, so we have decided to round up a few of our favourite inspirational rooms for you to lust over. 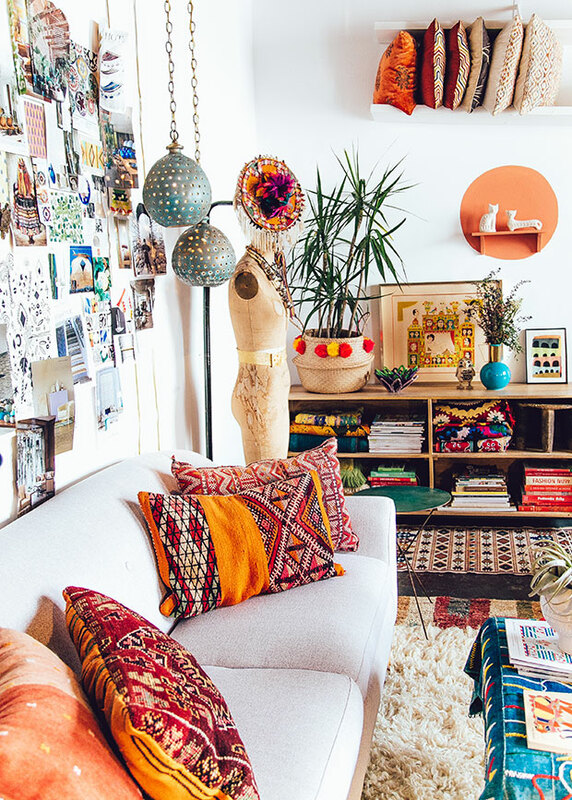 Bohemian interior design is random and busy, it’s a chance to break the rules. Maybe that is why we have seen a revival of the bohemian style in both the fashion and interior design worlds this season. While there are no rules to bohemian style there is a fine line between boho chic and just chaotic! 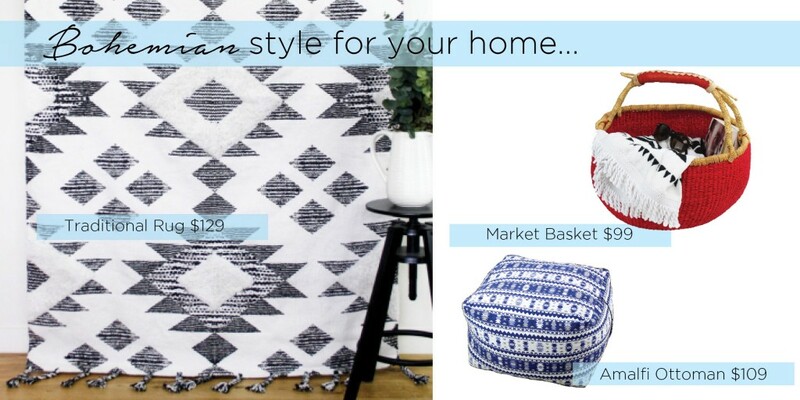 We have come up with some tips and inspiration for adding a touch of boho to your home. The key to styling a bohemian room is to add lots of texture and layers to fill spaces. See an empty spot? Fill it! Think paintings, pillows, plants and pendant lights. Our collection of modern rugs come in various textures and patterns to decorate your living room. Moroccan themed ottomans, lanterns and pillows work really well in a bohemian styled space and add vibrant colour and texture. Never be afraid to mix patterns. If you love it, use it! 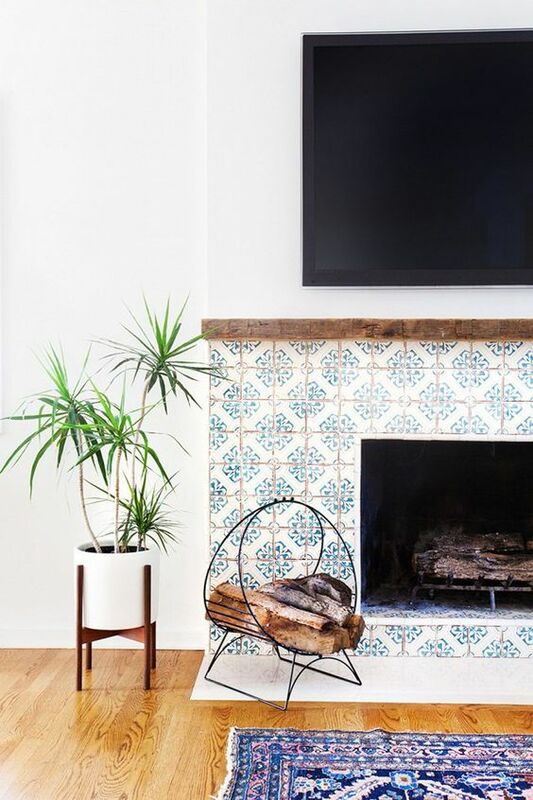 Bohemian style is also about adding personality to the room, choose pieces that tell a story or that you connect with. Raid antique stores and markets for treasures or use your family heirlooms and put them out on display! We love these amazing patterned tiles. Add layers of colour, think rusty oranges and reds. 3D artwork adds texture – we love anything with feathers, shells or coral. 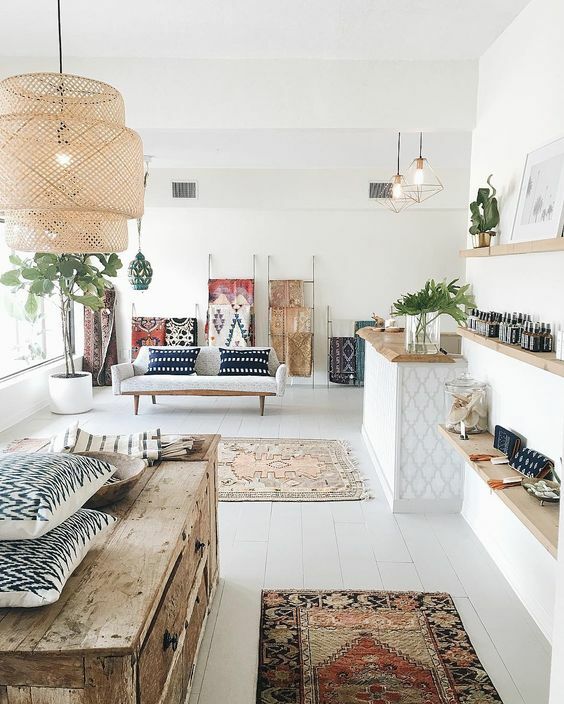 Want more inspiration for styling your own boho-styled space? Click on over to our Bohemian Pinterest Board here.